It’s not a good start when you’re popping a Voltaren with your oats first thing in the morning, but hey, needs must if you want to run for another day in relative comfort. Having worked out a few options last night, I’d decided to try to remain high today as I didn’t want to put too much pressure on the calf or the knee. Going uphill is fine, coming back down is a bugger to be quite frank. So I drove about 12kms up the road, and started at the Rocks Peak track head which is at 1,088m. From there, it’s a short sharp climb of 350m over 3kms to Rock’s Peak, and the track undulates across the top of what’s known as the Pisa Conservation area, which is truly stunning. As I went along my journey, I became re-acquainted with my little friends, the prickly Spaniards, which reside in this part of the world. 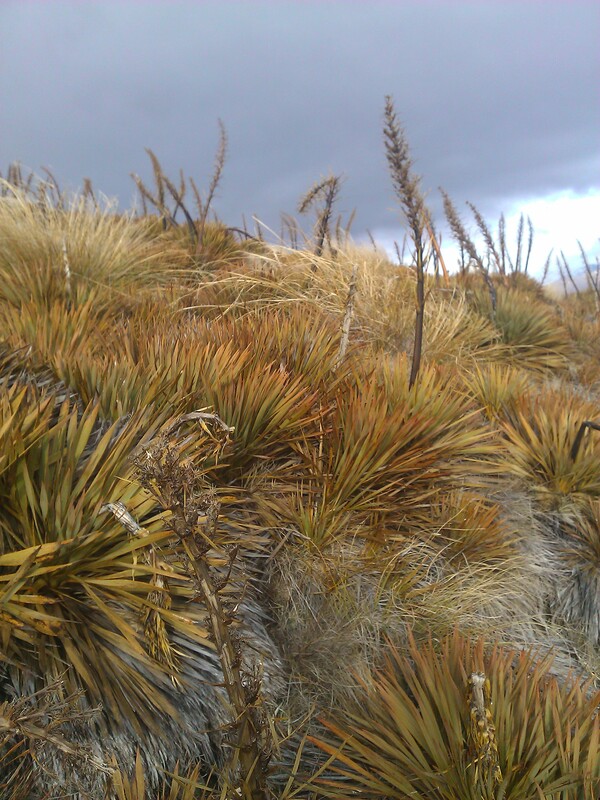 These plants grow to around 1m high and are exactly as the name suggests, ‘prickly’. I’d had a few of these pierce through my Nike Frees when on the Northburn 100 run and they are a little painful to say the least. Fortunately these buggers were off track, so no much encounters this time. Nonetheless, I do think they’re quite pretty and the yellow is a stark contrast to the rather barren landscape all around you. After summiting Rock’s Peak (1,480m), it’s onwards towards what’s known at Tuohys Saddle, which is a further 13kms down the track. It’s fairly easy-going running to be honest, with some mild undulations, before a bit of a climb up to the next peak, which is Mount Allen (1,492m). From there, it’s back down again to just over 1,300m, before a 300m climb up the next peak, which name escapes me right now. This however is where it started to get pretty hairy up top. Up at 1,600m it’s very exposed and the wind had nowhere to go except for smashing straight into me. As I ascended this part of the track I was having to lean into it to stop myself from being blown over. The gusts must have been well in excessive of 100kms p/h, and when there’s nothing but sheer drops either side of you, it’s times like this when the doubt begins to creep in and a change of plan is needed. That said, I went on for another kilometre until I came to another so-called gap in the mountains and the winds were now just plain stupid. I was having to bend down in a squat like position to remain upright, while leaning into the wind. Looking ahead of me, the track was extremely exposed and I decided to call it quits there and head back a few kms short of where I wanted to go. In hindsight, probably a good call. I was on my own in an exposed area with severe winds bashing down on me. While unlikely, I didn’t want to risk being blown off the mountain or anything like that, so made my merry way back to the car for a 25km out and back. Not a bad day, but it would have been good to clock up a few more kms. Nevertheless, it’s still very early doors for GNW training and it’s still a 110km week, so can’t complain. The main thing is to keep the niggles at bay. After this little sojourn in the mountains, I did a bit of a recce to Mount Roy’s track head. I’d emailed Terry Davies, the RD of the Northburn 100, and he’s said that this climb was a killer. Looking at the topo map at the track head, Mount Roy stands at 1,586m, and the start point, according to my Garmin was 350m, so a casual 1,236m climb in just 4kms!!! Yikes! From the summit of Mount Roy, the track continues across the tops of the mountain ranges, so that could be a possibility for tomorrow. 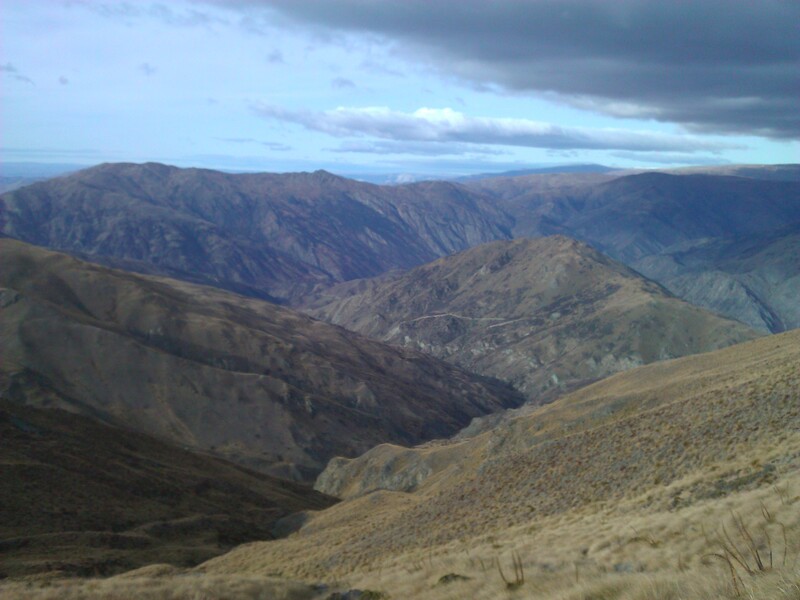 Terry has also given me another route, which is around 45mins drive from Wanaka and one of his personal favourites too, so may head up there.